"If changing a motor is a huge task to you, then this is not the right style rig for you." -- we need more of this kind of honesty in craigslistings. The world would be a better place if there was less of "I assume the mileage is actual" and more of "it is a mud bogger and it always need minor tinkering, and if it is used correctly you will break axles, transmissions, transfer cases, motors and you will replace them and go again". 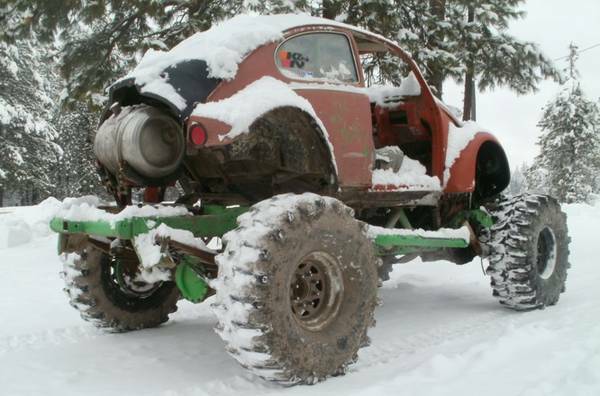 Yes, indeed the world would be a better place if everyone was more like the man known as Mudallica who built the Mud Jagger and is now selling this 1966 Volkswagen Beetle Mudder offered for $2,000 in Spokane, WA via craigslist. Seller submission from Mudallica. Mudallica tells us that the Mud Jagger finally sold last week to a producer who wants to use it for a new character on post zombie apocalypse TV show Z Nation. 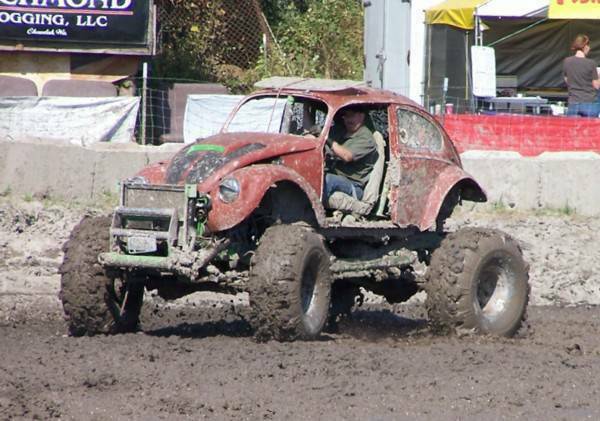 I can't imagine a better use for the Mud Jagger, but the Mud Bogger Beetle is still for sale. This is a VW body on top of a Chevy Blazer chassis -- powered by a 454 cubic inch V8 with a number of aftermarket parts and open headers. It looks like a perfect vehicle for slogging through fields of mud or zombies. Yeah, but what kind of mileage does it get on the highway? Current tags? In the ZPOC, we don't need no steenkin' tags! From the Craigslist ad "NO, it is not street legal and never could be." 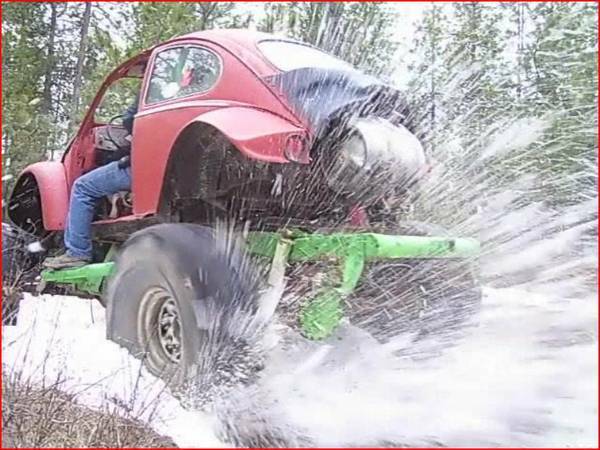 Who knew a VW beetle body would fit so seamlessly onto a Blazer chassis? I can see many copycats trawling the daily commute and mall scenes in one of these.